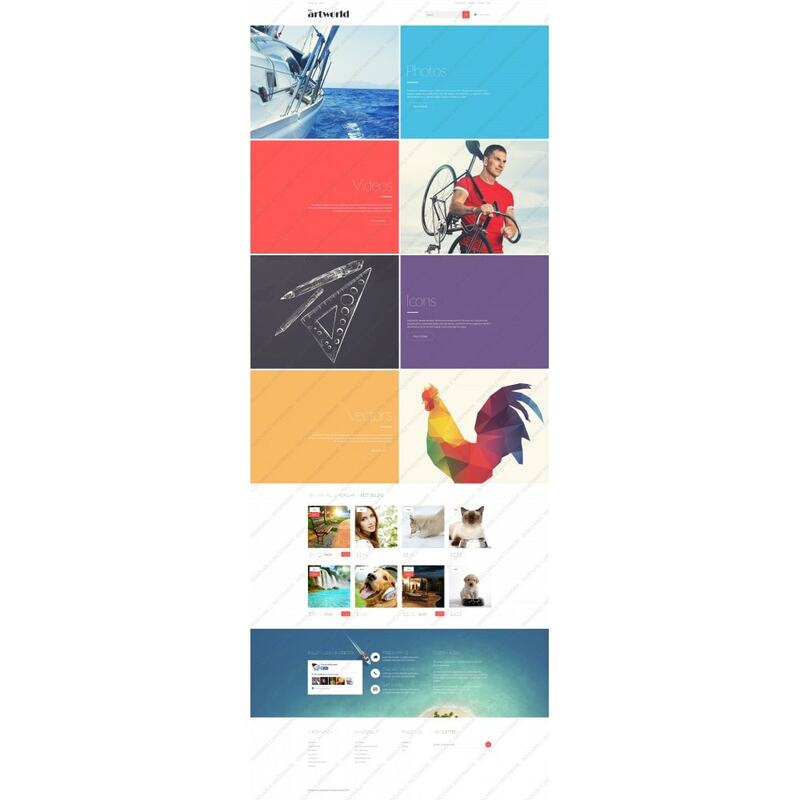 Just cast a glance at this bright theme best suited for photo video sites. You will not find the standard tabbed navigation menu here. 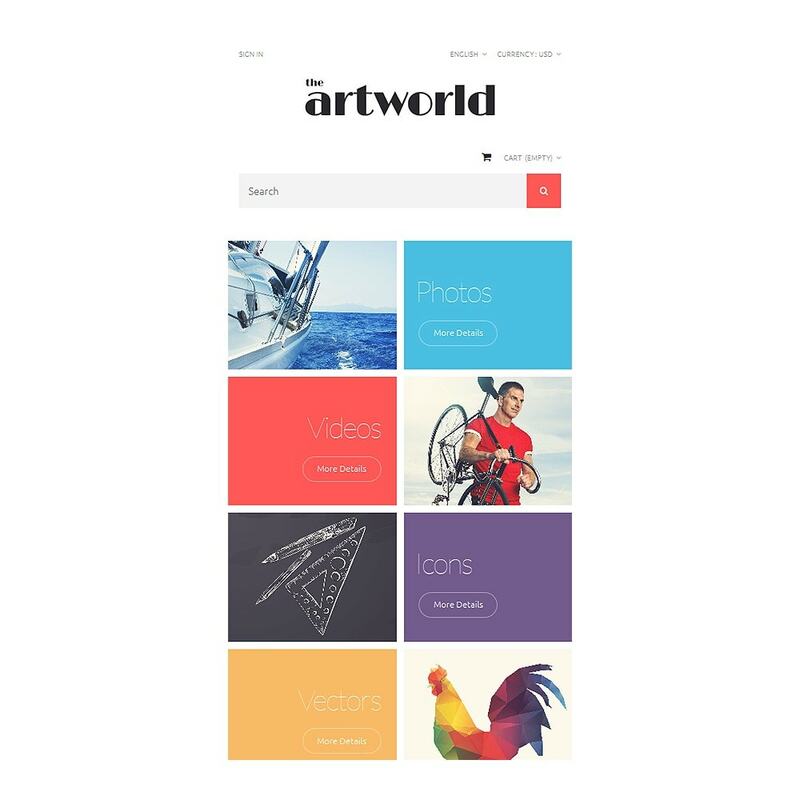 With contrasting white text against multi colored background, the split navigation is easy to locate and offers really cool visuals for each menu option. Rounded buttons create a clean look. 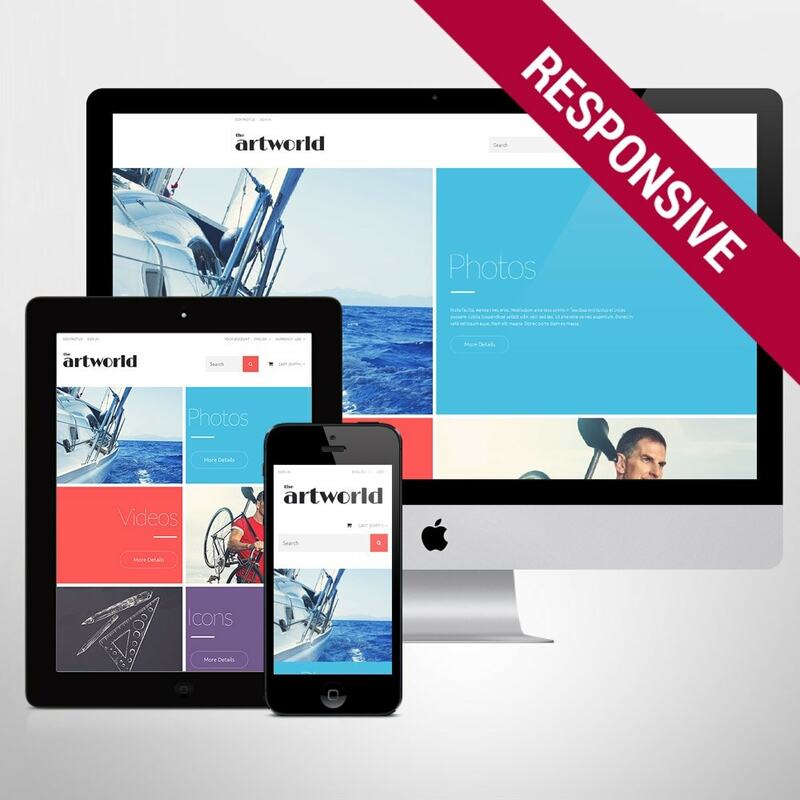 When built with this template, your site will be properly displayed across multiple devices, either desktop or handheld. Organizing best sellers and new arrivals in grids and accompanying each offering with vivid price tags and stickers you can make it easier for the users to find the necessary item. Informative footer will guide users to the necessary areas on your site. 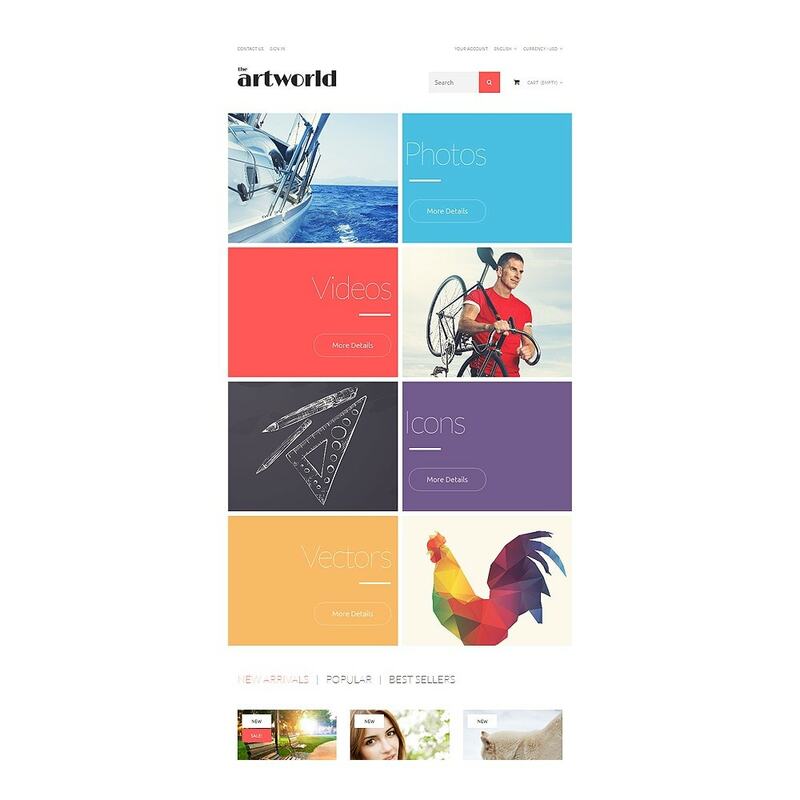 The template perfectly fits art photography, sport, travel, and fashion sites.